Zenith Nutrition Mass Gainer++ has a unique 3: 1 carb and protein ratio and enzyme formula, a perfect combination for those looking to increase body mass with regular training. It also comes with a unique blend of whey protein isolate, whey protein concentrate and micellar casein. Whey protein isolate and whey protein concentrate being fast digesting proteins give immediate dose protein for the body. Being a slow release protein, micellar casein makes protein available for a prolonged period. This supplement comes in a superior French vanilla flavour, making it one of the most palatable supplement that gives excellent taste and texture. Explore the entire range of Bulk available on Nykaa. 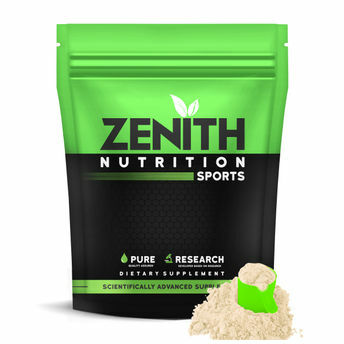 Shop more Zenith Nutrition products here.You can browse through the complete world of Zenith Nutrition Bulk .Alternatively, you can also find many more products from the Zenith Nutrition Mass Gainer++ With Enzyme Blend French Vanilla range.